I don’t know about you, but summer plays havoc with my skin and my normal skin care regimes seem to bounce off my skin as if it’s a titanium shield. Nothing sinks in and everything congests. If you’re experiencing this too, you’re not alone. An increase in humidity, sun exposure and heat causes the skin to sweat more, produce more oil and the upper layers to become thicker leading to more congestion; all these things are just some of the ways summer affects your skin! So, what are your options? 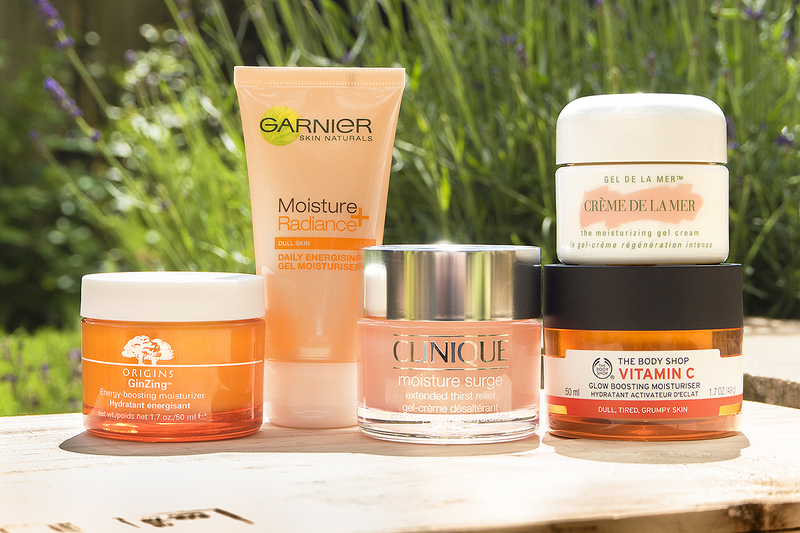 Enter the army of ultra-lightweight, water-based gel hydrators. Perfect for hydrating oily/combination skin and boosting dryer skin types; this hugely successful asian import sinks in in a flash without leaving any surface residue and I’ve found one for every budget that I think you’ll love. None of the following products are formulated with any SPF sun protection which I love as depending on where you are and what you’re doing, tailor your SPF strength to suit on top! These hydrators also provide a smooth and hydrating base for them to work on. This was such a good find and I’ve been loving it over the last few days. 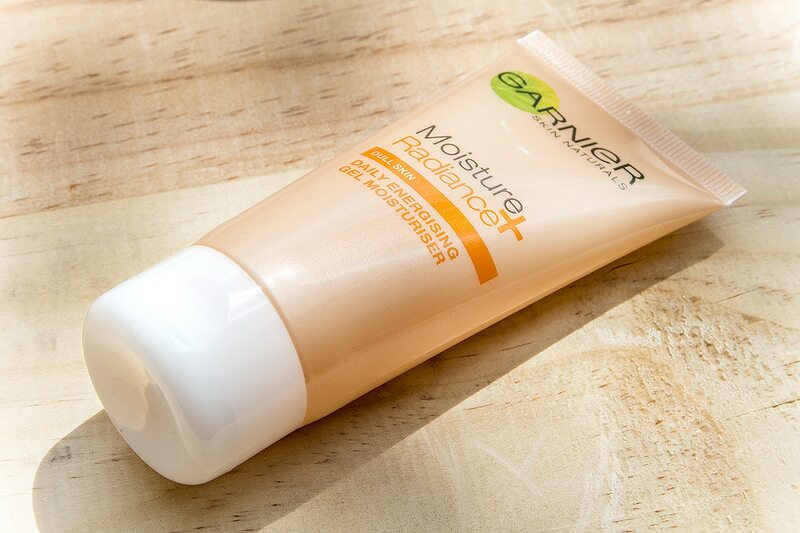 Part of Garnier’s Moisture Match range, one of the first budget collections available on the high street to more accurately target the needs of different skin types from ultra-right to ultra-light. It’s not quite as hydrating as a couple of the others in the feature, but it holds its own; sinking in well and delivering a good shot of moisture that you may wish to top up by midday. The fragrance is a little strong, a bit cheap and almost peachy, but it disappears fairly quickly so I’m not too fussed. On contact the skin feels cooled and quenched. It’s a tiny bit sticky but again, once it’s absorbed after around 30-60 seconds, this feeling disappears leaving skin smooth and plumped. 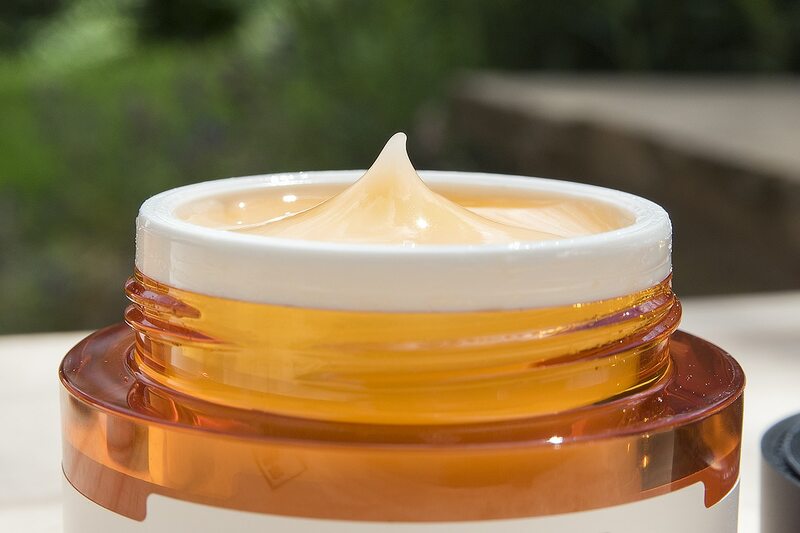 There are a surprising number of natural ingredients including clarifying grapefruit and citrus; hydrating sugar maple and conditioning hibiscus. It does have an alcohol base like some of the others in this feature. This is designed to allow the hydrator to penetrate the skin and better deliver the ingredients. All I’d say is keep an eye on your skin and how it feels – if it begins to feel or look a little dry, switch up to something a little more nourishing. Also against recommendations, don’t use this as a mask as leaving a heavier layer on the skin gives too much contact alcohol contact and prevents it from evaporating as it does when applying a regular thin layer. You can mask with the Origins, Clinique and La Mer hydrators but shouldn’t really with the others. They contain Butylene Glycol which is a different kind of alcohol that instead of evaporating moisture, actually keeps it locked in! Aqua / Water, Glycerin, Alcohol Denat., Dimethicone, Butylene Glycol, Acer Saccharinum Extract / Sugar Maple Extract, Ascorbyl Glucoside, Benzyl Alcohol, Benzyl Salicylate, Caprylyl Glycol, Carbomer, CI 14700 / Red 4, CI 47005 / Acid Yellow 3, CI 77891 / Titanium Dioxide, Citronellol, Citrus Grandis Extract / Grapefruit Fruit Extract, Citrus Medica Limonum Extract / Lemon Fruit Extract, Dimethiconol, Disodium EDTA, Hibiscus Sabdariffa Extract / Hibiscus Sabdariffa Flower Extract, Limonene, Linalool, Mannose, Phenoxyethanol, Propylene Glycol, Sodium Hydroxide, Synthetic Fluorphlogopite, Parfum / Fragrance. Garnier Moisture Match 24 Hour Revitalising Hydrating Gel is available pretty much anywhere to be honest; I even saw it in my local Tesco yesterday evening. If you want to buy online, it’s available here from Boots for £1.99. I’ve been loving this over the last month or so and have just started on my second pot! The fragrance is gorgeous, the feeling is to die for and the hydration lasts all day. I am totally gobsmacked that skin care from The Body Shop could be this good. I’ve already reviewed it in-depth here. 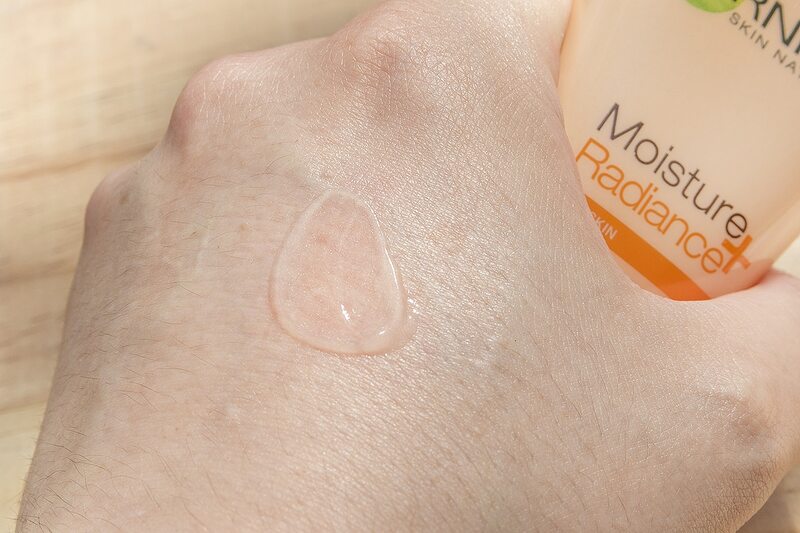 It sinks in like a shot but your skin immediately feels cool and well hydrated. It leaves no sticky residue and makes my skin glow and plumps everything out. Now, despite The Body Shop’s slightly misleading promos that the Vitamin C comes from Camu Camu berry extract (that’s in there as a skin conditioner only) it’s actually from one of my favourite synthetic compounds, Tetrahexyldecyl Ascorbate. This form of Vitamin C is super powerful, stable and burrows deep into the skin delivering powerful antioxidant protection. Aqua/Water (Solvent), Alcohol Denat. 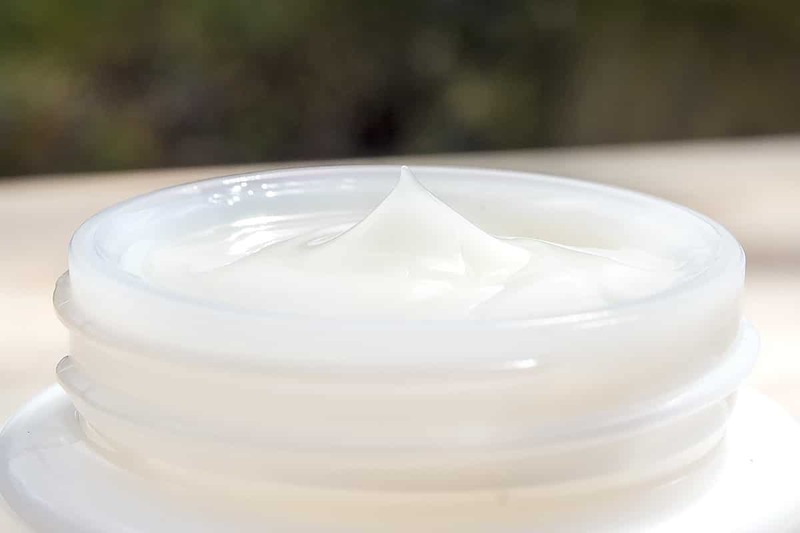 (Solvent), Glycerin (Humectant), Propanediol (Viscosity Modifier), Ammonium Acryloyldimethyltaurate/VP Copolymer (Viscosity Increasing Agent), Ethyl Macadamiate (Skin Conditioning Agent), Isostearyl Lactate (Emollient/Skin Conditioning Agent), Phenoxyethanol (Preservative), Parfum/Fragrance (Fragrance Ingredient), Sesamum Indicum Seed Oil/Sesamum Indicum (Sesame) Seed Oil (Skin-Conditioning Agent), Sodium Hydroxide (pH Adjuster), Limonene (Fragrance Ingredient), Sodium Hyaluronate (Humectant), Tetrahexyldecyl Ascorbate (Antioxidant), Disodium EDTA (Chelating Agent), Benzyl Salicylate (Fragrance Ingredient), Hexyl Cinnamal (Fragrance Ingredient), Linalool (Fragrance Ingredient), Aloe Barbadensis Leaf Juice (Skin Conditioning Agent), Myrciaria Dubia Fruit Extract (Skin Conditioning Agent), Citral (Fragrance Ingredient), Tocopherol (Antioxidant), Malic Acid (pH Adjuster), CI 15510/Orange 4 (Colorant), CI 15985/Yellow 6 (Colorant). 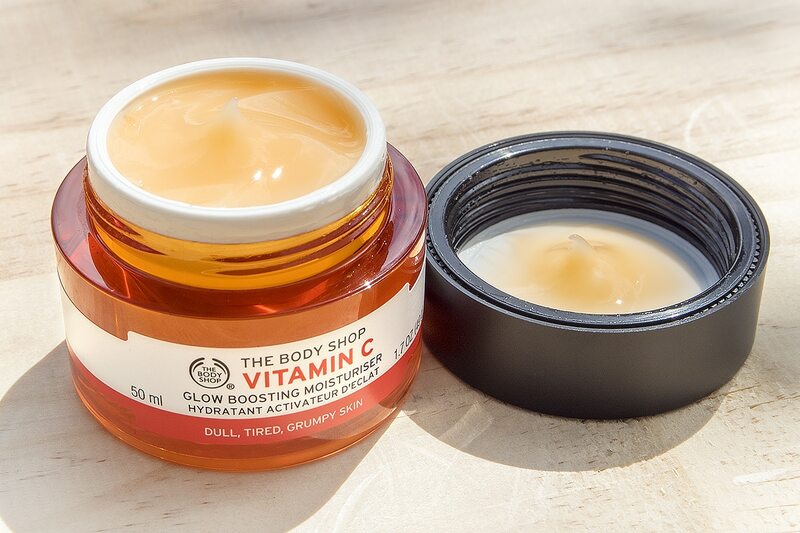 The Body Shop Vitamin C Glow Boosting Moisturiser is available exclusively here from The Body Shop for £16 + £2.49 delivery. 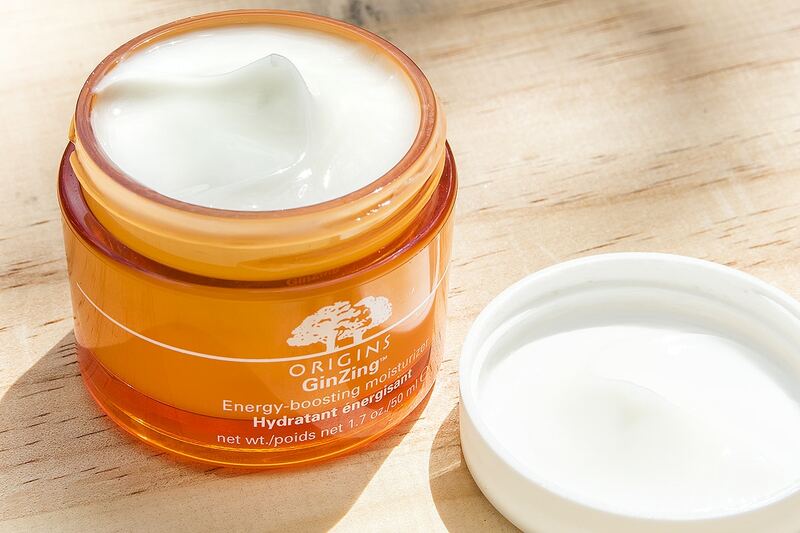 Launched in 2013, this has been one of the biggest selling products for Origins. Super-soothing GinZing moisturiser contains calming caffeine, clarifying and soothing grapefruit oil as well as uplifting lemon and spearmint. It’s a probably the richest out of the 5 but still disappears without a trace. You definitely won’t need to reapply later in the day (as long as you don’t have dry skin) and it really does plump everything out. Also, not that it affects its efficacy but the scent is unbelievable – almost mouth watering. Alongside the caffeine there’s also cucumber, camomile and baikal skullcap working together as powerful anti-inflammatory ingredients. 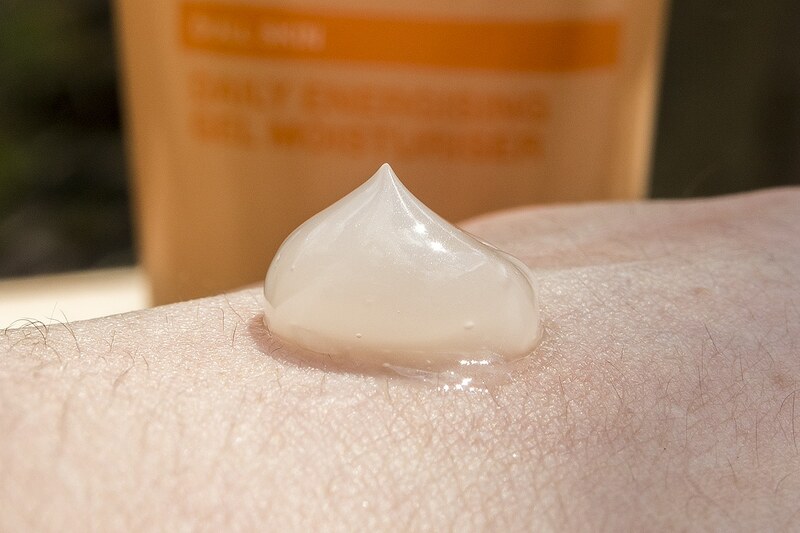 A cosmetic-grade silicone (Methyl Trimethicone) also works to push the hydrating ingredients deeper into the skin – this is known as a humectant delivery agent. 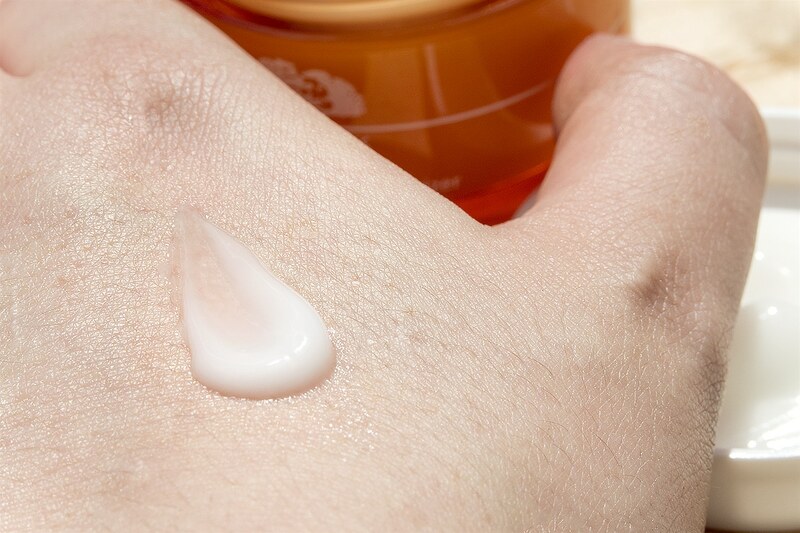 Despite their bad reputation, silicones in skin care are a good thing unless you layer many different types through different products (such as primers and makeup) which can congest the skin – I’m actually working on a silicone article for the very near future so stay tuned. Water, Methyl Trimethicone, Butylene Glycol, Glycerin, Jojoba Esters, Panthenol, Dicaprylyl Carbonate, Citrus Limon (Lemon) Peel Oil, Citrus Grandis (Grapefruit) Peel Oil, Mentha Viridis (Spearmint) Leaf Oil, Limonene, Aloe Barbadensis Leaf Extract, Butyrospermum Parkii (Shea Butter), Simmondsia Chinensis (Jojoba) Butter, Castanea Sativa (Chestnut) Seed Extract, Rubus Idaeus (Raspberry) Leaf Wax, Dimethicone, Coleus Barbatus Extract, Hordeum Vulgare (Barley) Extract, Trehalose, Triticum Vulgare (Wheat) Germ Extract, Panax Ginseng (Ginseng) Root Extract, Ammonium Acryloyldimethyltaurate/VP Copolymer, Salicylic Acid, Foeniculum Volgare (Fennel) Seed Extract, Rosmarinus Officinalis (Rosemary) Leaf Extract, Phospholipids, Tocopheryl Acetate, Sodium PCA, Arginine, Caffeine, Cholesterol, Linoleic Acid, Biotin, Folic Acid, Tetrahexyldecyl Ascorbate, Polysilicone-11, Carbomer, Pantethine, Squalane, Sodium Hyaluronate, Hexylene Glycol, Lecithin, Calcium Carbonate, Caprylyl Glycol, Ethylhexylglycerin, Tromethamine, Phenoxyethanol. This was a surprisingly wide launch for Origins who had it stocked in many stores without counters. 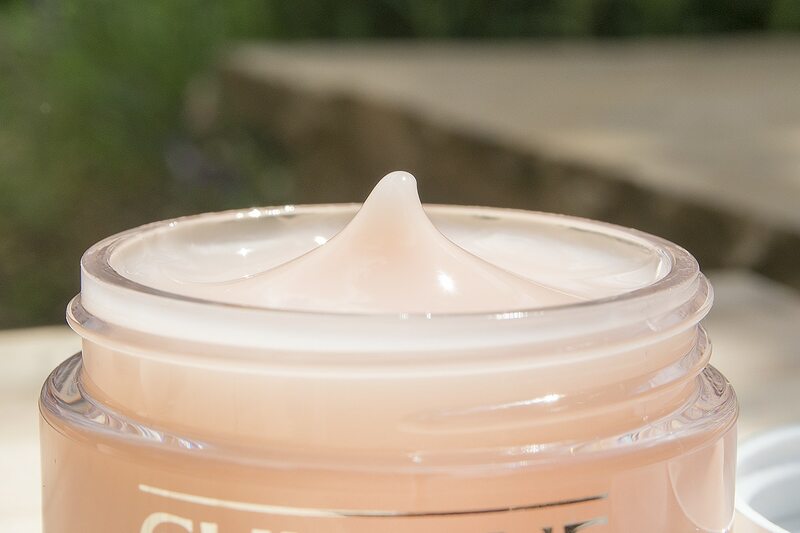 Clinique Moisture Surge Extended Thirst Relief is almost older than time itself. This is one of those products that you can’t judge, you can’t slate and you can’t dismiss. 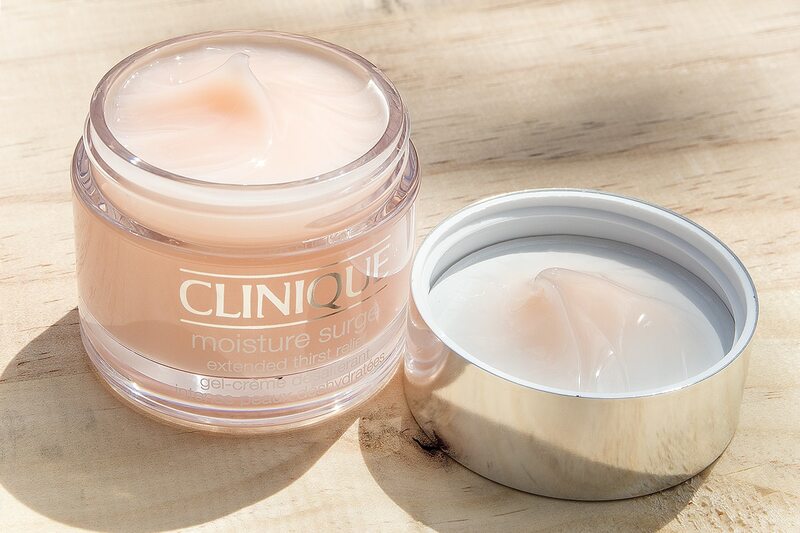 When the world falls and we’re all plunged into darkness, Clinique Moisture Surge will remain! Its super lightweight and definitely the most hydrating of the 5. Used as a moisturiser or as a mask, my skin drinks this in without even flinching. It leaves you plumped, calmed and hydrated but without any sheen or residue on the skin. You can also use this in your hair and on your cuticles. You know that feeling when you’re hot, thirsty and dehydrated and someone hands you an ice-cold can of Coke/Diet Coke and you take that first gulp? This is how this feels on the skin. Particularly during the hotter months, keep it in the fridge – you’ll thank me later. There’s conditioning birch bark extract, lady’s thistle and green tea as well as calming caffeine, sucrose and aloe vera. Finally it’s allergy tested and fragrance free meaning that unlike the others, it’s 100% suitable for even the most sensitive and reactive skin. 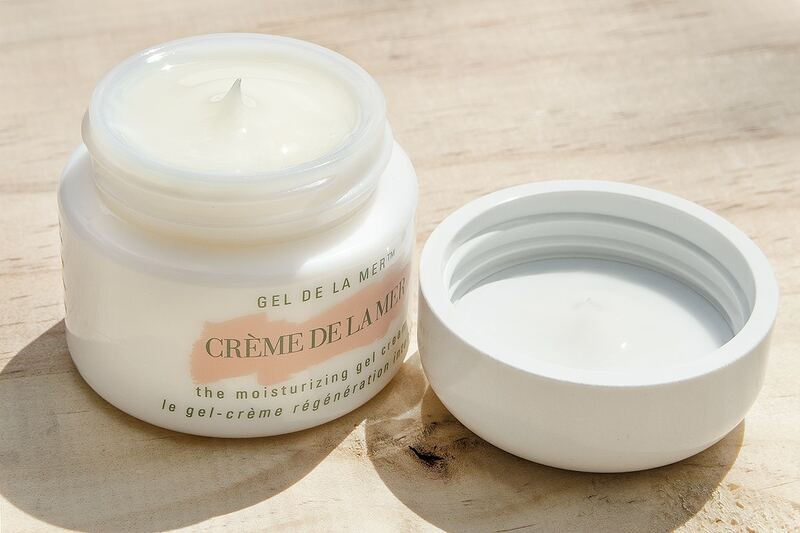 This is one of Crème de la Mer’s biggest sellers on the Asian market. Perfect for oily/combination skin, The Moisturising Gel Cream gives lightweight hydration whilst delivering all of the brand’s patented goodness to support healthy skin function, ensure moisture barrier strength and stimulate cellular regrowth. During winter I love the brand’s original cream formulation when my skin is dryer and more under attack from the icy elements! 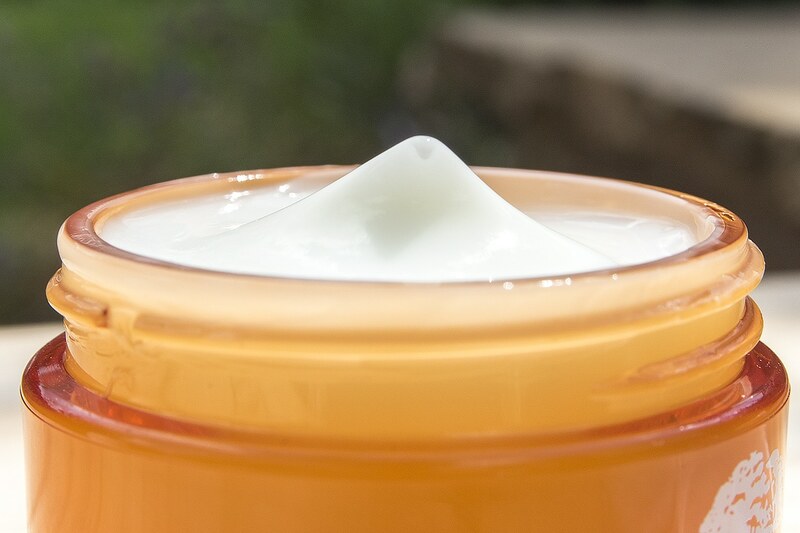 The reason the La Mer gel cream stands out from the rest is that rather than being just hydrating and protective, you do have those regenerating properties which during the summer sun and heat, is a huge bonus. The patented algae formulation and the power behind every product in the brand is 100% scientifically proven to stimulate the growth of elastin, collagen and increase healthy skin cell production – I get severe eczema on my lips and the La Mer balm can turn them from looking ragged and sore to fresh and smooth in a single day; no exaggeration! Out of the 5, it’s not the most moisturising for normal to dryer skin types, in which case I’d say to shoot for the soft cream formulation (in-between this and the original). It sinks in in a heartbeat and leaves my skin cool and soft to the touch but nicely mattified with a slightly dewey/fresh finish. Seaweed (Algae) Extract, Cyclopentasiloxane, Butylene Glycol, Citrus Aurantifolia (Lime) Extract, Glycerin, Ammonium Acryloyldimethyltaurate/Vp Copolymer, Sesamum Indicum (Sesame) Seed, Sesamum Indicum (Sesame) Seed Oil, Medicago Sativa (Alfalfa) Seed Powder, Helianthus Annuus (Sunflower) Seedcake, Prunus Amygdalus Dulcis (Sweet Almond) Seed Meal, Eucalyptol, Sodium Gluconate, Potassium Gluconate, Copper Gluconate, Calcium Gluconate, Magnesium Gluconate, Zinc Gluconate, Tocopheryl Succinate, Niacin, Aloe Barbadensis Leaf Water, Palmitoyl Oligopeptide, Dimethicone, Sucrose, Trehalose, Sorbitol, Sodium Hyaluronate, Oleth-10, Caffeine, Tocopheryl Acetate, Glyceryl Polymethacrylate, Hydrogenated Lecithin, PEG-8, Disodium EDTA, Phenoxyethanol, Potassium Sorbate, Limonene, Hydroxycitronellal, Linalool, Geraniol, Citronellol, Fragrance. This article first appeared on MANFACE written by Thom Watson. It was published on Monday 29th June 2015 and was last updated on Monday 3rd April 2017 at 1:25pm. It's categorised under Clinique, Garnier, La Mer, Moisturise, Origins, The Body Shop where you'll find more related content. Really like the look of the Clinique moisturiser, sounds nice and light! It’s definitely one of those skin care essentials. I try to make sure I always have one on hand! Oooh thanks for this, the Body Shop one sounds good. Gotta love the ice cold Coke reference. Nothing feels like summer much as that first hit of cold coke burning the back of your throat. Ahhhhh! Haha I couldn’t think of a better comparison but I’m sure this is close. Yeah definitely worth a look and a huge surprise! I’m so excited for your silicone post. Also your pics gobsmack me every time! I need a better camera / actual photography skills.